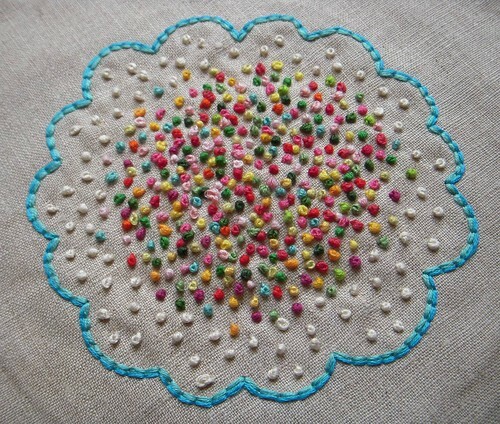 I love how these french knots look like tasty donut sprinkles. Lovely! It's that time of the year again. 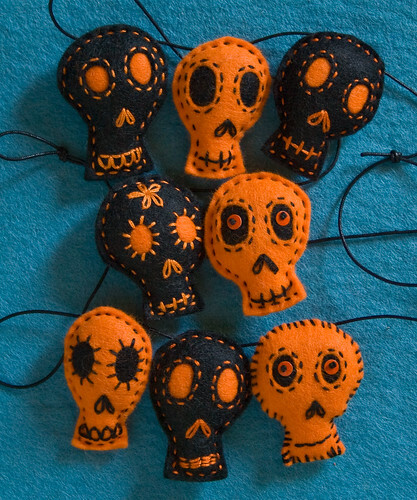 All things Halloween are showing up. Isn't this adorable? I found it on Flickr and it's by Metro-Station. Such whimsy and a little dash of color. Crafting 21/365, originally uploaded by Lilley1. Time for another interview! 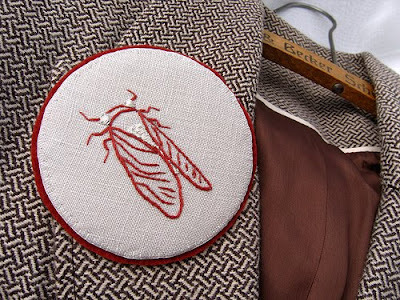 I am sure you must have seen the work of Hare And Drum on Flickr - and one piece was highlighted here on Feeling Stitchy a little while ago. 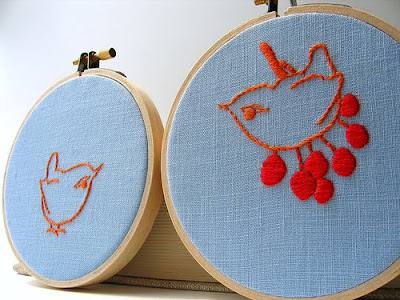 Hare And Drum is a duo of talented ladies: Agnieszka who thinks up the designs and her mum Maria who does the beautiful embroidery. My designs are inspired by two major influences: nature, and historical design, often combined. I am making an effort to stay away from man-made items as imagery in our creations, although they are very tempting! It's a little niche I'm creating for our work. How does your work benefit from your collaboration? I have developed immensely in my skill ever since I started working with my daughter! I never before thought of creating entire patterns, other than small tweaks in the patterns I already found in books and magazines. Mom and I have a great, continuous conversation about each design. We truly create it together. Mom reins in my wilder ideas and translates them into reality. It may have been difficult for me at first but it definitely made me a better designer who understands the constraints of the material we work with. 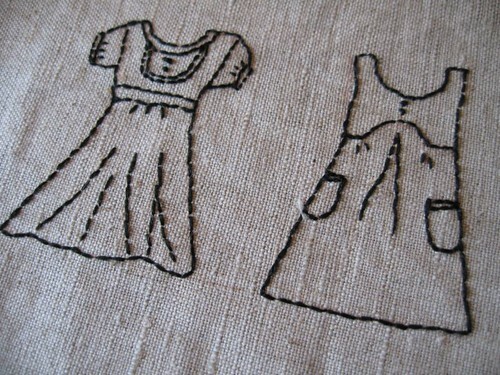 My first embroideries were 4th grade school projects, ages ago in Poland. 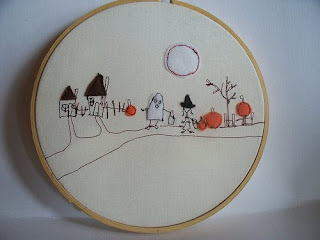 All kids in my class, including boys, needed to create an embroidered piece as part of standard workshop curriculum. 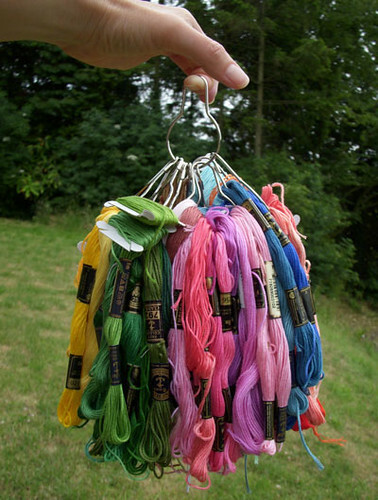 Same goes with knitting and other simple crafts. Girls, in turn, needed to do some woodworking. Very holistic approach to education, I'm sad to see it gone and replaced by cramming theory. Later, crochet home decor became more popular so I didn't embroider much at all. I started stitching again in my 30s to embellish my kids' clothing and then became part of a hobby group headed by a Hungarian lady. That way I took up interest in Hungarian folk embroidery and discovered magazines with printed embroidery patterns. Historical images I use are mostly Art Nouveau designs, often authentic, from museum collections. I give them new life by adding contemporary color schemes and reworking their ornate patterns to fit certain constraints of embroidery. Art Nouveau designs are most often nature-based, so they are easy to fit into my general interest in nature. I use nature as inspiration, both the monumental (trees, entire landscapes, such as my Four Seasons series) and the miniature (most recently, insects, sea creatures). 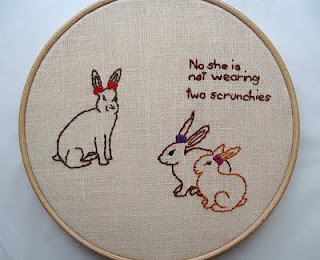 Granny style comes to mind. 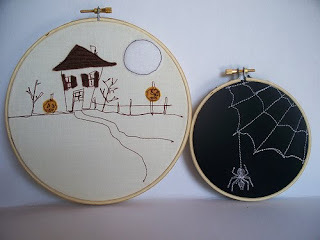 I believe embroidery and crochet are still plagued by that perception, as much as knitting has been rediscovered by younger crowd. Your Flickr group certainly contributes to changing that perception! 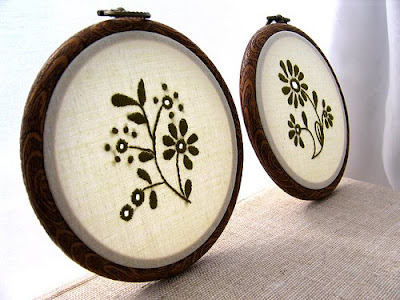 Most recently it seems to be working and embroidery becomes recognized as fashionable again, with the revival of Victorian style decor and new appreciation of fiber art and crafts as recalling the comforts of home in difficult times. It's fun! It's like painting a picture with an unlikely tool that a needle is! It allows for a lot of whimsy and is much more forgiving than a painted canvas: you can just cut the floss out and start again. 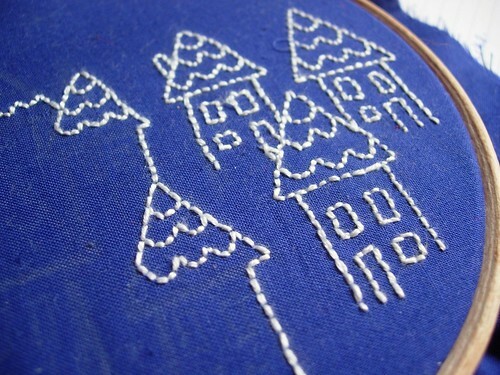 Embroidery and fiber in general do not seem durable at first. 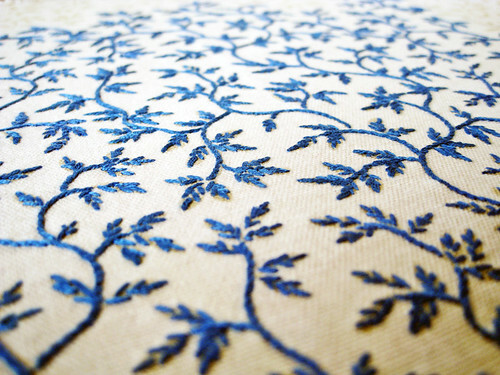 But small, well loved embroidered pieces are likely to last generations! 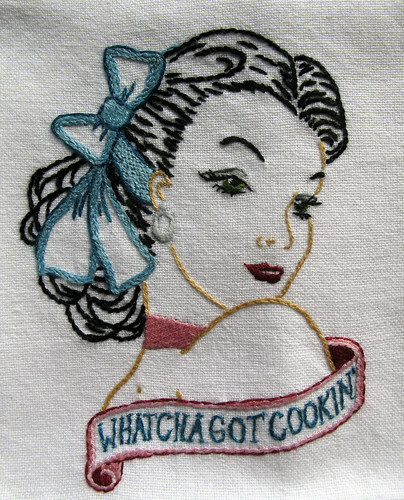 I still have a piece of cross stitched table cloth that my parents received as their wedding gift in 1942. The table cloth survived a wartime bombing and multiple moves. I remember it on my parents' table when I was a little girl. I'm planning to frame the piece that's left. 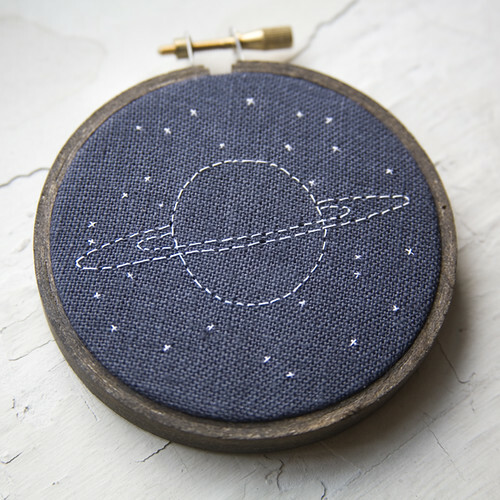 I guess hand stitched items emanate that great warm and cozy feel of home. Patience is a must! 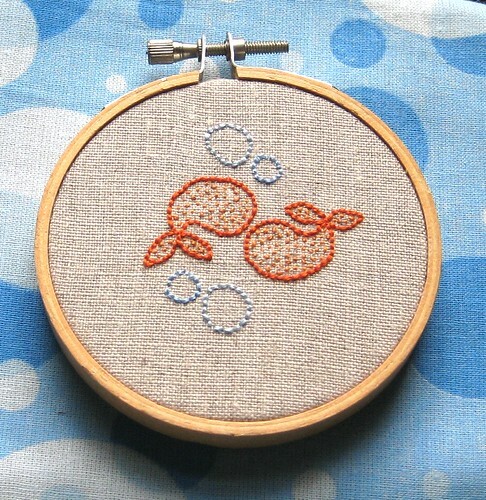 It takes a lot of trial and error to finish a piece, so start small and with simple techniques such as cross stitch or linear embroidery. Make sure the pattern is clearly copied onto fabric and that you have good light when working. When you make a mistake, undo and correct right away rather than wait and hope it will not show. It will. But first, enjoy what you are creating! I love these bee coasters! I really appreciate clean lines done with just a few stitches. Complex is not always better, and this is a prime example. Great colors for the coaster fabric, too! 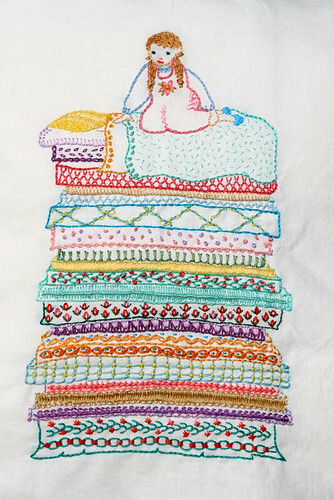 The one thing that I am a little afraid to try is a human face done in embroidery. This piece is so sweet and the face wonderfully done! Oh dear. 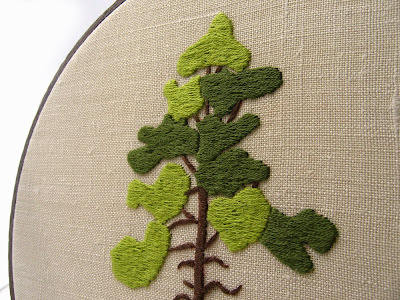 Just when I think Erin's stitching couldn't get any better, it just does. Isn't this amazing? Oh, I love cameras too. 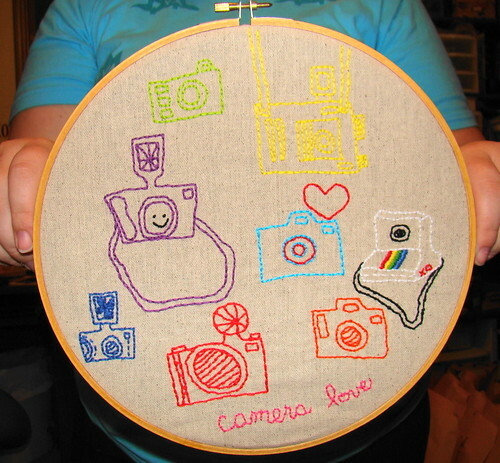 Almost as much as I love the cute hands holding this embroidery for the camera. Too sweet! 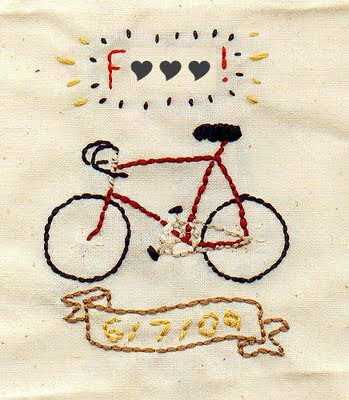 :) Stitched from an Elsie Flannigan pattern. Oh, goodness. 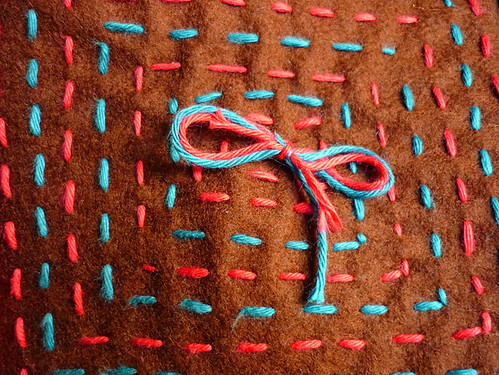 Look at those fill-in stitches! Those colors. Those eyes. Amazingness! 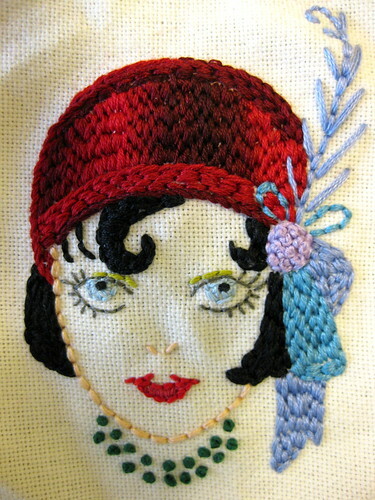 And yep, that'd be from another Sublime Stitching pattern, Roaring 20's. Maybe it's the 12 year old in me, but this made me giggle. Thanks to Stephanie Tillman for making my day. Rose bullion -you know, for making rose soup! I kid (and yes, I know it's spelled differently, mom). 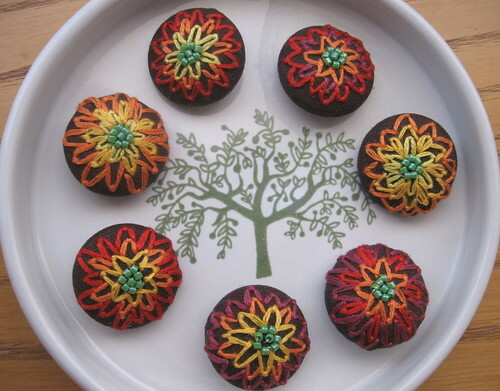 Just look at crafty_pants' blooming stitches. So, so pretty and sweet and boy, is that some impressive handwork. 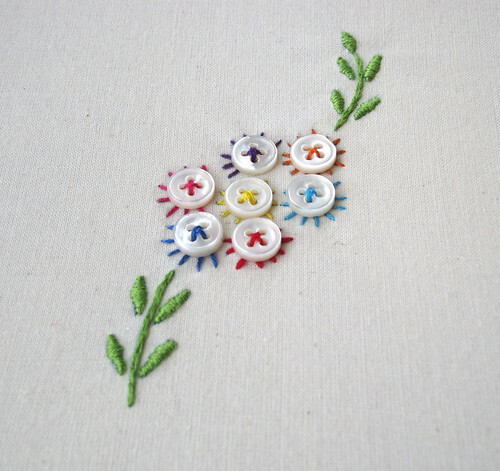 I love how she sprinkled it with French knots for little buds. 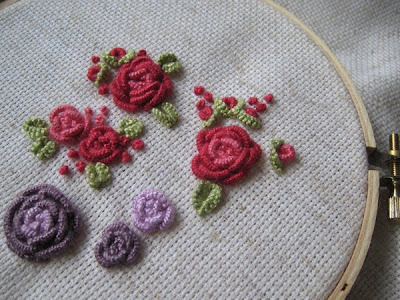 Found this nice tutorial for making bullion roses for you, too! Gorgeous! 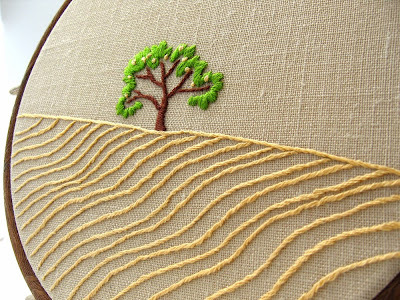 I love how beautiful simplicity can be in embroidery. 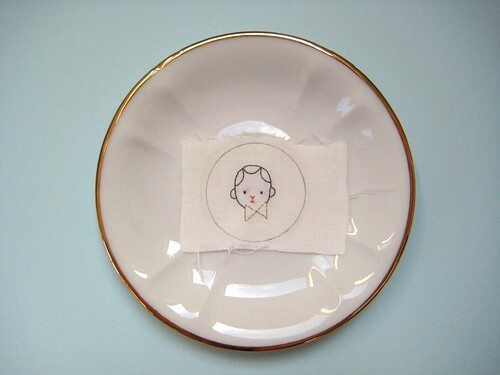 That tiny little face in a saucer just makes me uproariously happy. Yup, you knew I had to share this with you. 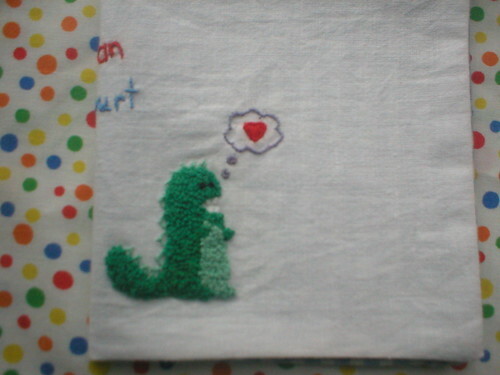 Stitched from a Sublime Stitching freebie Jenny posted last week. 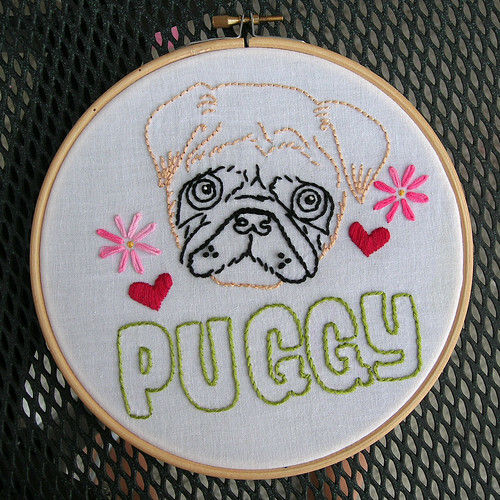 Claudia altered hers to say "Puggy" instead of "Pugly". Still extremely pug-worthy, I must say!